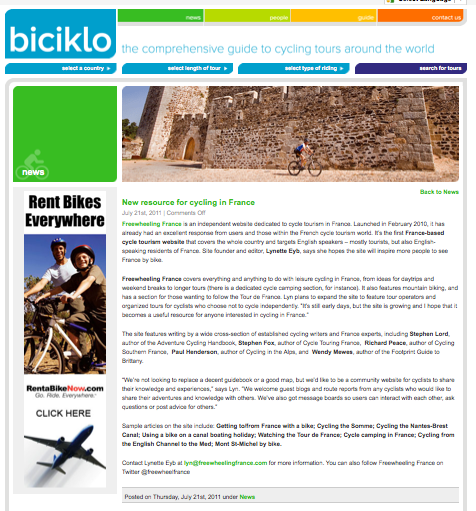 I run this site, Freewheeling France, an independent site covering anything and everything to do with cycling in France. 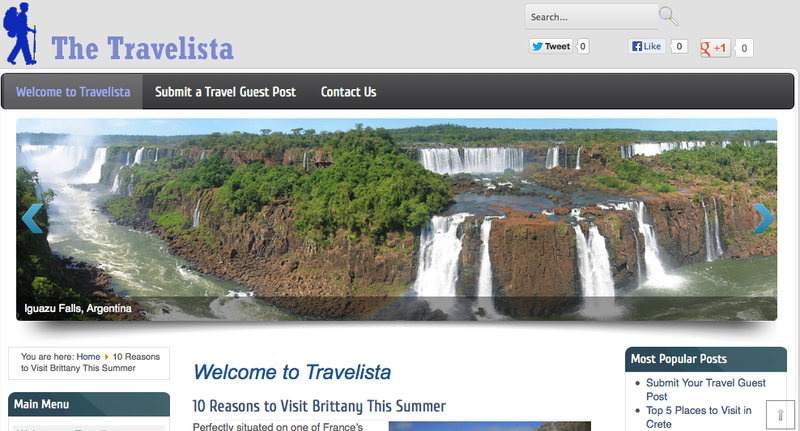 It started as a spare-time labour of love; a blog idea that got a little out of hand and took on a life of its own. 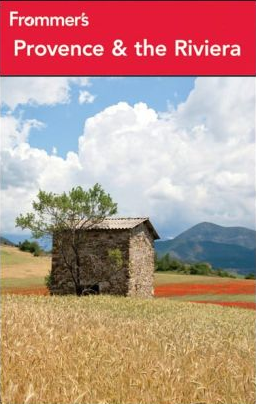 It's still largely a spare-time project, and made possible thanks to the support of all the cyclists out there who send in ideas and feedback resulting from their own cycling adventures in France. 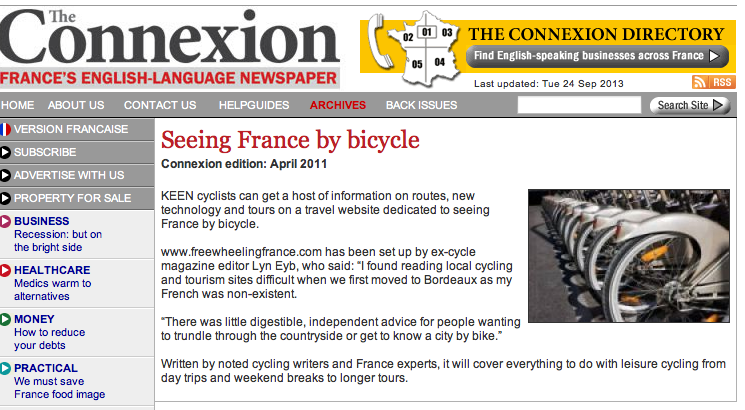 (Your ideas are welcome via lyn@freewheelingfrance.com). I live in a small village 60km east of Bordeaux with two mini-cyclists and one husband, Andrew, who clocks up many more miles (and rides much faster) than I do each week. Occasionally you'll see him posting on the site too. That's him above with one of our mini-cyclists (though that photo's a few years old now – she's not so mini now that she's on to her third bike and mastering gears). 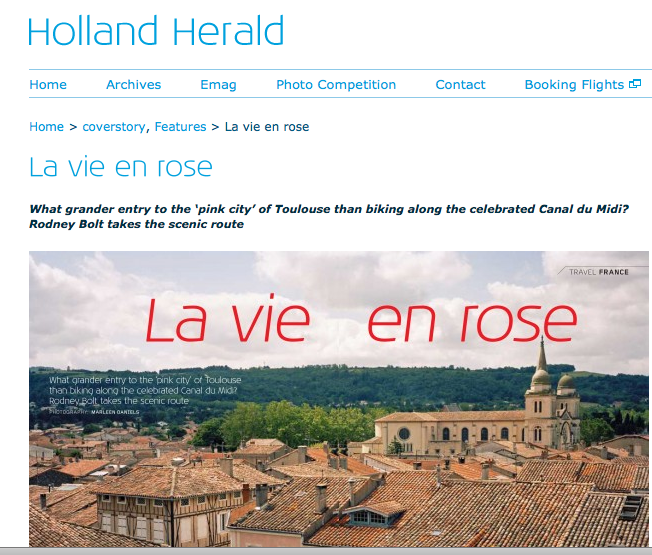 Anyway, thanks for visiting our site – we hope you like what you see and find it useful in helping you to plan your own adventures cycling in France. 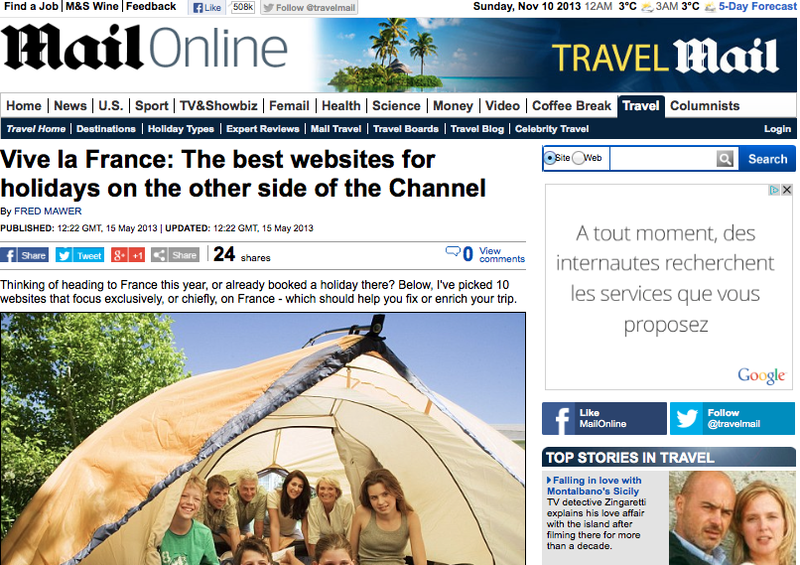 How to support the site: I run the site because I enjoy it and get a little buzz out of other people enjoying France as much as we do. 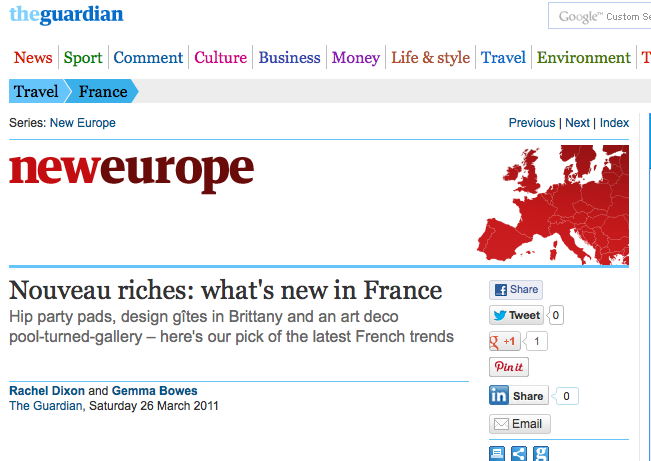 However I do try and make it pay its way so that we can keep improving it. Monies raised go towards helping me to spend more time on the site to grow and improve it. If you find it particularly useful, you can always make a donation to help me keep it going. I also receive a small commission for purchases made from some (but not all) links, and every little bit helps to cover costs and keep the site running to a high standard. I only link to products and services I have used or ones I think other cyclists would find useful. We recommend some super guided and self-guided rides here and have a great database of accommodation we've checked to ensure is bike-friendly. 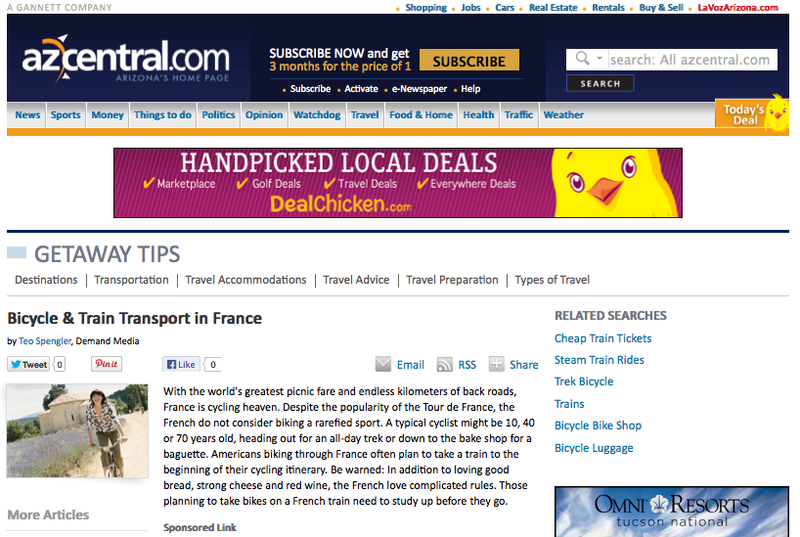 You can also see our pages on cycle touring accessories and maps, ferries to France and train tickets. If you need help planning your trip, I offer this bespoke service for supported rides and one here for bike hire. I also accept advertising from bike-friendly businesses (there is more info here). 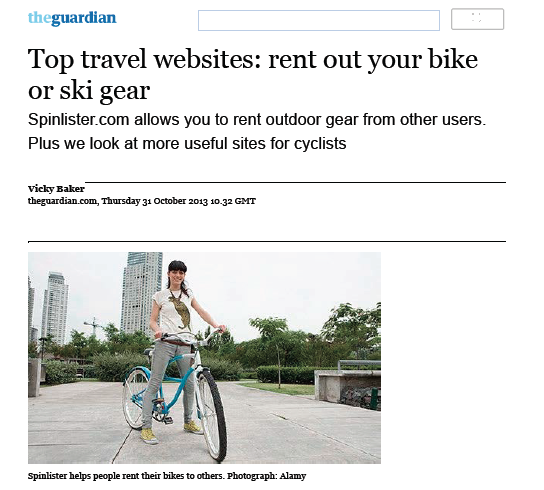 Left: Guardian (click for link) article on ski and bike hire. 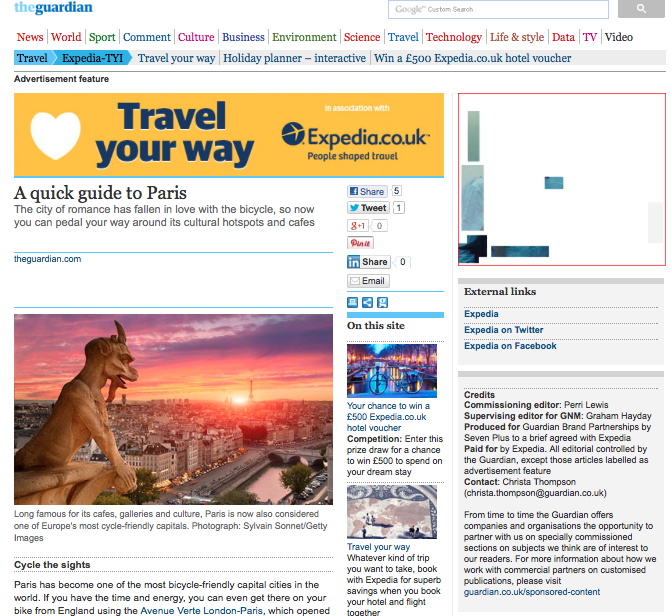 Right: Guardian Paris city guide (click for article link) that features a link to our Avenue Verte London-Paris route information. 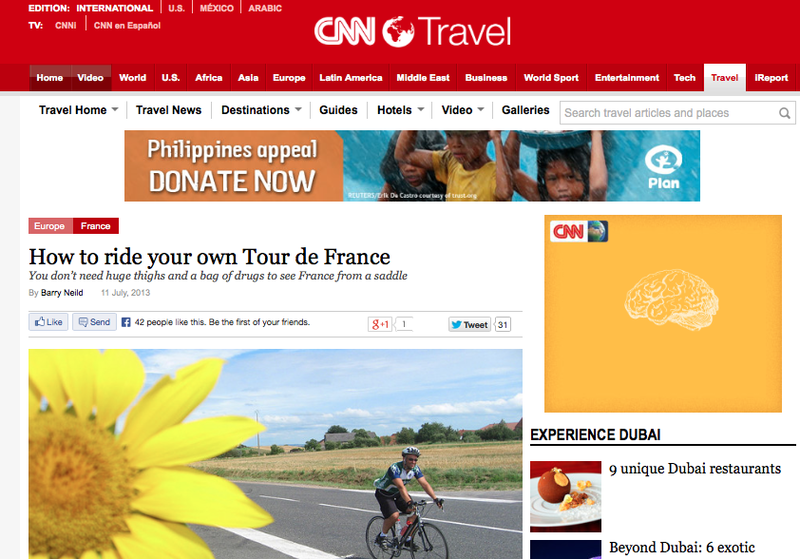 CNN Travel article (click for ful article) that features a link to our bike hire delivery services page. 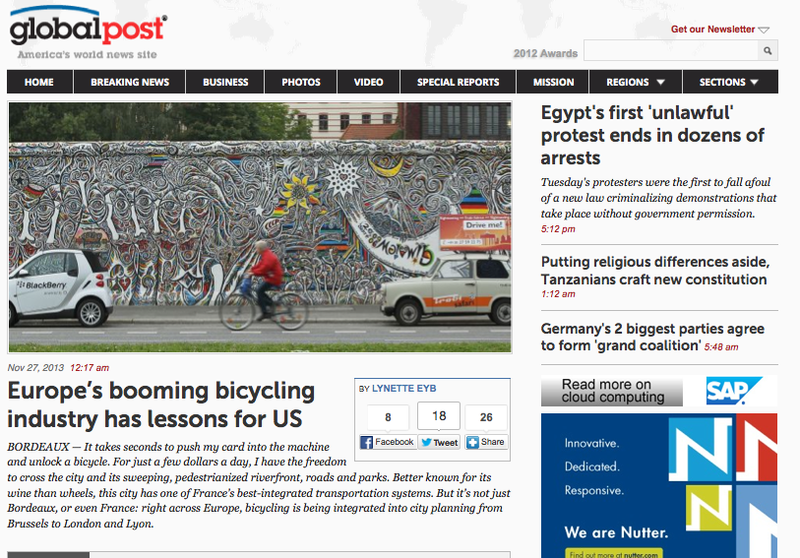 Article I wrote for the GlobalPost (USA) on the European cycling boom. Click for full article.